Winter is coming. Days are shorter, colder and darker. There is much to do before those first few flakes of snow cover the countryside like a woolen blanket. Thankfully, Howard Straub III, dairy manager with the W.K. 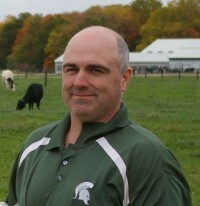 Kellogg Biological Station, Pasture Dairy Center at Michigan State University (MSU), has a few tips to allow for an easier transition for dairy cows during these last few weeks of fall grazing. 1. Straub recommends that dairy producers plan out the rest of the grazing season now. For many producers in the Midwest, the paddocks the cows are in today will not be used again this year. If you are a producer who is stockpiling grass, know which paddocks those will be and use the current growth rate to predict how much you will have available to feed. Keep in mind that it takes high quality grass to drive cows to and from the pasture. 2. Convert your cows to winter rations slowly. Straub recommends a minimum of four weeks when changing the cows forage diet to winter “partial” TMR (pTMR) or balage, slowly increasing the percentage of intake. This will reduce the stress of a diet change on the herd. As an example, Straub says his high stocking rate cattle (1.5 head/acre) are currently receiving 68 percent of their forage needs at the bunk. 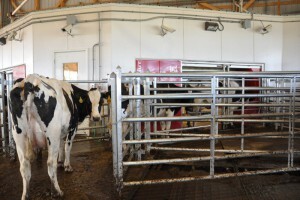 The low stocking rate cattle (1 head/acre) are receiving 45 percent of their forage needs at the bunk. Both of these groups will be at 90 percent or greater by the third week of November. 3. Straub says you should time your bunk feeding to help with robot visitations. Feeding at the bunk will drive cows back to the barn, especially when you first begin. If your robots are currently used the least between 4 a.m. and 6 a.m. (as they were at MSU), feed at 4:30 a.m. or 5 a.m. and your visitations will immediately increase. 4. Do not overgraze your paddocks going into winter, says Straub. Leave at least 1,000 lbs. dry matter /acre (2.5 inches deep, depending on species). This will allow the plants to recover well next spring and not abuse the root reserves. 5. Straub suggests you don’t forget to remove all the temporary fencing equipment out of the pastures. Poly wire, reels, and step in posts have a tendency to be taken down by wildlife or weather if left out over winter and unused. Blow out unprotected water lines to avoid spring surprises. 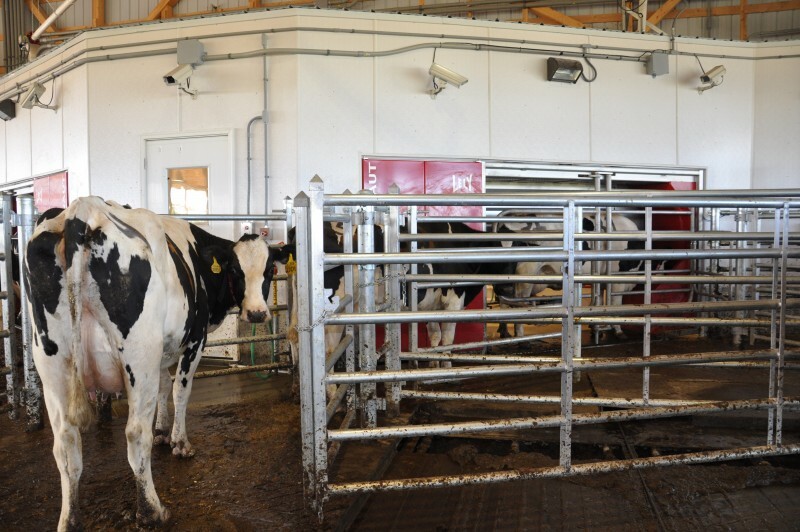 The Pasture Dairy Center, which integrates Lely automatic milking technology and pasture-based management, is one of two MSU dairy farms and works to expand the research capacity of MSU.